Filmmakers test their fortunes at the Box Office every Friday. New films vie with each other for the common man’s attention and approval. But the competition at the Box Office this Friday will be a little unique and interesting. Three talented and well known ladies will fight it out for the viewer’s money. 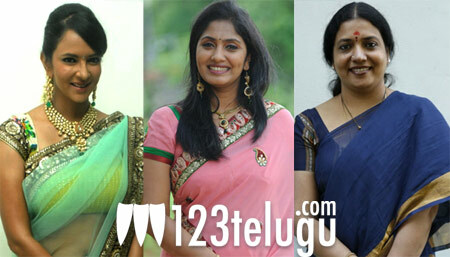 The three women are Lakshmi Manchu, Jhansi and Jeevitha Rajasekhar. Lakshmi Manchu is the producer and lead actor of ‘Gundello Godaari’. Jhansi is the producer of ‘All I Want is Everything’ and Jeevitha Rakasekhar is the director of ‘Mahankaali’. All three films will be hitting the screens on March 8th. All three women are popular and talented in their own ways. So who will come out as the Box Office winner this Friday? Let us wait and see. But for now, good luck to all three ladies for having the courage and conviction to make films in this extremely male dominated industry.